I’m not one to be subtle when it comes to calling out the Cleveland Indians for their offseason inactivity. The team’s front office insisted it was trying to compete for a World Series. However, this winter has featured nothing but shedding salary and weakening a roster which already had notable holes. While this alone is frustrating to see, there’s one aspect which makes Cleveland’s passive approach even more upsetting. The Indians have one of the best players in the majors on their roster, and don’t seem too concerned with trying to build around him while he’s still here. Simply put, the team’s refusal to go all-in while Francisco Lindor is still under contract is as mind-boggling as it is foolish. Nobody needs to be convinced about the talent Lindor brings to the table. 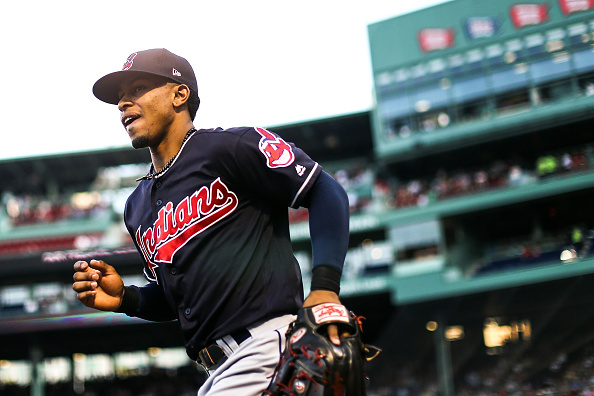 Cleveland’s shortstop has quickly become one of the league’s brightest stars, and is sure to have at least a couple MVP awards in his near-future. Yet, instead of doing what it can to build around Lindor, the Tribe seems intent to just put more weight on his shoulders. For an idea of how a plan like this works, look no further than this past postseason. While the majority of Cleveland’s lineup was useless against the Houston Astros, Lindor was literally the only player who contributed consistently on offense. Normally, saying “Francisco Lindor was responsible for one-third of Cleveland’s RBIs in the playoffs” would be impressive. It’s not when you consider he generated two RBIs off two solo home runs in a series where the rest of his team scored a combined four runs. Despite this, there’s no sense of urgency to take advantage of having a talent like Lindor in the clubhouse. The Indians are instead tearing their roster down, making him the focal point of an astoundingly lopsided offense. Making this even more concerning is the fact Cleveland won’t have the benefit of Lindor’s presence much longer. There was a time when the number of years left on his contract was a bragging point for the franchise. However, this winter marked the first of Lindor’s three remaining years of arbitration eligibility. After the 2021 season, he becomes a free agent, who’ll likely come with an absurdly high price tag. You could potentially argue the Indians are working to save money now to get him a contract extension. One would think they’re at least doing something to try and prevent him from skipping town in a couple years. However, this begs the question – if Cleveland can shed this much salary this winter and still not feel compelled to improve the roster at all, just how much do they think they’ll need to cut to meet Lindor’s asking price? I doubt he’ll have much interest staying in town if the roster is him and a bunch of Triple A call-ups. As a result, the idea of Cleveland dumping as many contracts as possible to make room for Lindor doesn’t seem realistic. Knowing this, what’s the plan? Are the Indians just going to let this play out? Quietly enjoy Lindor while he’s here, then send him on his way? Reclaim their former role as the farm team for the New York Yankees or Boston Red Sox? I get it, the Indians are a small market team compared to those two clubs. They’ll never be able to spend like them, and won’t be able to compete if these two or another team swoops in with a massive offer when Lindor hits free agency. However, if you’re going to play the small market card, at the very least try to get something out of this while Lindor is still here. Pull out all the stops in attempts to win a ring while you can. Take advantage of having a top-tier talent like this while he’s still under your roof. Right now, the Indians don’t seem interested in this approach. Instead, they’re trying to save money, essentially wasting away one of Lindor’s final years of team control. They don’t seem eager to improve the offense around him, nor are they giving any hints they believe they can re-sign him. It’d be one thing if the Indians did whatever they could to increase their odds of winning while Lindor was still in town, only to fall short. It’s another to not even try at all. This winter, it seems they’re taking the latter route.